Wow! I actually made it to complete 3 projects for Cricut Exploration. 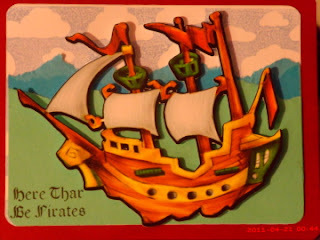 Here is another card using the Buccaneer Cricut Imagine Cartridge. For this project, I used the pirate ship image on this card. I used the Pink By Design Cloud background stamp for the sky. I used a blue and green cardstock, which I tore the top to create the sea. 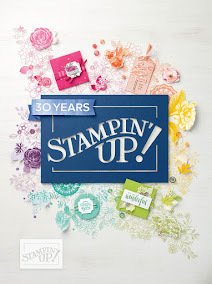 The stamp is from Pink By Design Pirates Life. Great card. I found your blog through Made by Momo's followers post. 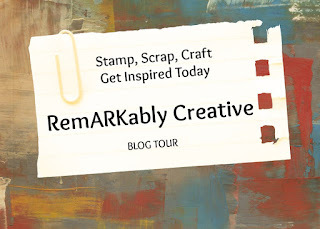 Following now =) Look forward to seeing more of your creation. Great masculine card. I find these so hard to make. You did such a great job.